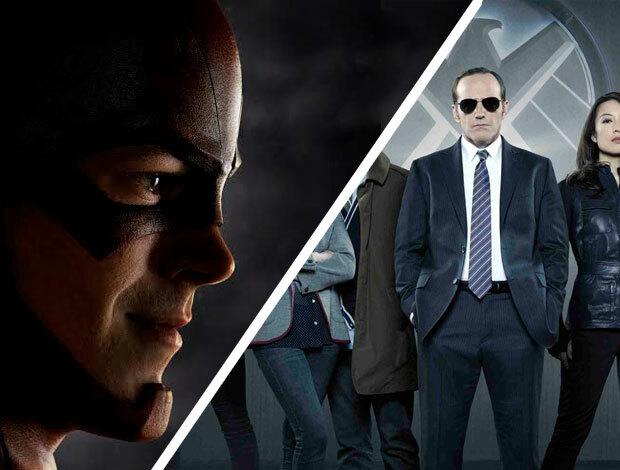 High-stakes political drama, superhero shenanigans, big budget drama and very dark comedy highlight a big fall on television. Buzzed as the best new drama of the season, “Madam Secretary” stars the always appealing Tea Leoni as a law professor called upon by a former CIA colleague-turned-Commander-in-Chief (played by Keith Carradine) to step into the role of Secretary of State. 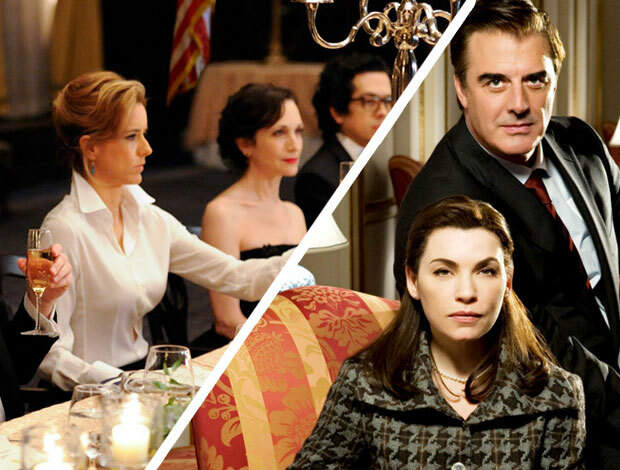 The show is paired with another stately prestige drama, “The Good Wife” (more on that below), setting CBS up, against all logic, as the only major network really even trying, at this point, to compete with cable in the top-shelf drama game. That they are succeeding with season orders of 22 episodes against the 10 to 13 produced for most cable series makes the achievement all the more impressive. At a time when many shows begin to age into obsolescence, CBS’s political drama proved last year that it showed up for a marathon and not a 5K. More than a few top critics declared its fifth season not only better than ever, but one of the very best runs of any network drama, period, in years (Julianna Margulies scored her second Emmy win for Outstanding Lead Actress in a Drama Series in August against some stiff competition, if you need further proof that the show is killing it right now). It will be a difficult season to top, for sure, but with razor sharp writing since day one and one of the best ensembles on TV, we have faith that this highly serialized, thoroughly adult drama will continue to be a brainy, involving delight for years to come. They don’t make ‘em like this anymore. The CW has had great luck with its spin on the D.C. Comics universe, so there’s no reason to doubt that “The Flash” will be anything but an exciting and physical romp. 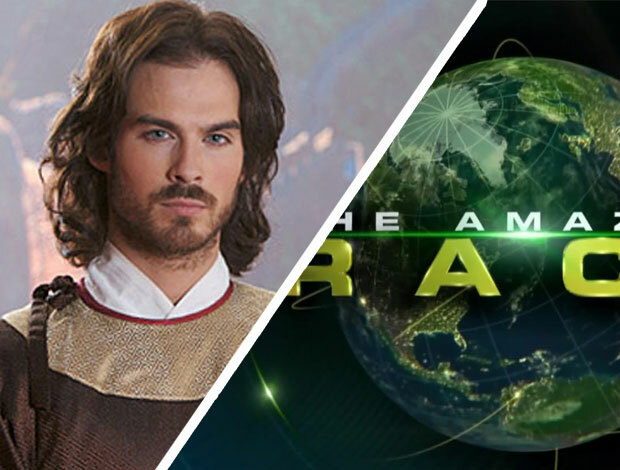 The show is a spin-off of the net’s popular “Arrow,” and is run by the same creative team, which includes superstar TV producer Greg Berlanti (“Dawson’s Creek,” “Everwood,” “Political Animals”). “The Flash” sees our titular young hero Flash/Barry Allen, played by “Glee” star Grant Gustin, set out to protect Central City from a gauntlet of baddies who, like him, picked up superpowers following a particle accelerator explosion. Got it? 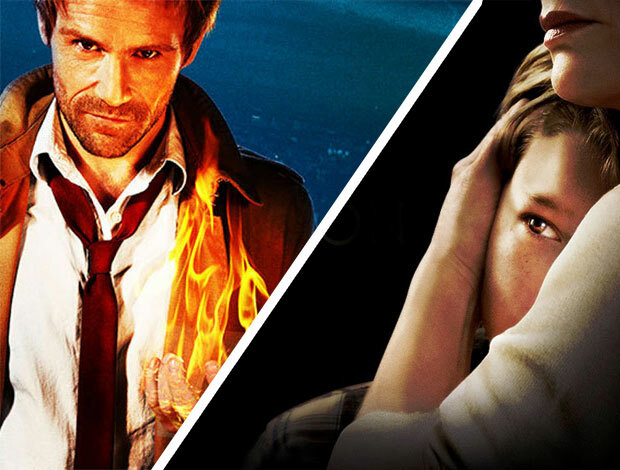 Alan Moore-created comic book character John Constantine gets drawn reluctantly into a war between good and evil in “Constantine,” NBC’s latest attempt to colonize Friday nights with a gothic horror drama, following last fall’s failed gamble on “Dracula.” The show already has something very big going for it: writer/co-creator David S. Goyer. Goyer is a comic book expert, having written the screenplays for “Man of Steel,” “Batman Begins” and the “Blade” trilogy. If anyone can find the right tone for a moody morality play about looming supernatural doom, it’s him. This drama-thriller series comes pre-loaded with a bit of extra spiritual heft – its central mystery revolves around the apparent returns from the dead of several former residents of a small Missouri town. Exactly how these people, unaged since their deaths, return and why stirs up even more questions about death, the afterlife and morality, providing the more Spiritual in the room with a readymade conversation starter. Being a Tastemaker is all about being ahead of the curve. Amazon still hasn’t launched a zeitgeist-y hit like its competitors at Netflix, but it is getting a lot closer to one with buzzed-about shows like “Transparent,” starring Jeffrey Tambor as a family patriarch who reveals that he is a transgender woman. Reviews for the series have been rhapsodic – Vulture’s TV critic said of the pilot, “’Transparent’ is my favorite pilot in years, and by a lot” – so it would make sense to be an early adopter. “Scandal’s” central character, Olivia Pope (Kerry Washington), is so famously stylish that the Limited will soon begin selling a clothing inspired by the series and character, marking the first-ever collaboration between a national retailer and a network TV show. In a mutually advantageous bit of timing, the line of sophisticated professional wear arrives in stores and online only a few days before the start of the show’s fourth season. Fans of Shonda Rhimes’ addictive political soap already toss back plenty of red wine to keep up with their heroine, now they can dress like her too. Half the fun of this long-running reality hit is seeing where exactly the competition takes its contestants. Very often, the Racers end up in some of the most remote and exotic places on Earth. While the show is often taciturn about where it next will head, we do know that St. Thomas, Malta and the Shetland Islands play a role in the coming season. Perhaps all the scenery will motive some Explorers out there to plan their next adventure? After nearly a decade of making mumblecore hits like “The Puffy Chair,” “Cyrus” and “Jeff, Who Lives at Home,” the Duplass brothers, Mark (“The League”) and Jay (Amazon’s “Transparent”), return their focus to writing and directing with their first TV series. The eight-episode season of “Togetherness” is slated to debut at a TBD time early this winter, but little is known about the HBO comedy save that it is about two couples who end up living together and features the Duplass brothers opposite Amanda Peet and much-loved character actress Melanie Lynskey (“Sweet Home Alabama”). People tend to either love or loathe the brothers’ films, but regardless it’s hard to not admire their ambition – their films and now TV series represent their singular vision and no one else’s. Ryan Murphy’s bizarro hit anthology series returns with an installment we think will appeal to the artists in the house. Trailers for “AHS: Freak Show” reveal an impressive attention to aesthetic that is reminiscent of HBO’s “Carnivàle,” which won Emmys for its art direction, cinematography, hairstyling and costumes, as well as a nom for its makeup, in 2004. Love or hate “AHS’s” over-the-top antics, anyone with an eye for detail will be given plenty of lush visuals to scrutinize. Oscar winner Octavia Spencer (“The Help”) finally gets the star vehicle she deserves with “Red Band Society,” an hour-long dramedy about a no-nonsense nurse and the six teenage long-term patients she cares for in the pediatric wing of a Los Angeles hospital. The kids are rebellious and sometimes mean, giving the show the familiar feel of the once-great “Glee,” but no matter how bratty they get, we’re sure Spencer will keep them in line, provide a shoulder to cry on, and give viewers someone to cheer for. In the last few minutes of its sixth season finale, “Parks” time jumped forward three years, giving us a quick glimpse of TV’s most tireless public servant, Leslie Knope (Amy Poehler), at work as the Midwestern Regional Director of the National Parks Service and getting ready to head to a very important (but never revealed) event with her husband, Ben (Adam Scott). It was a perfect set up for the show’s seventh and final season. 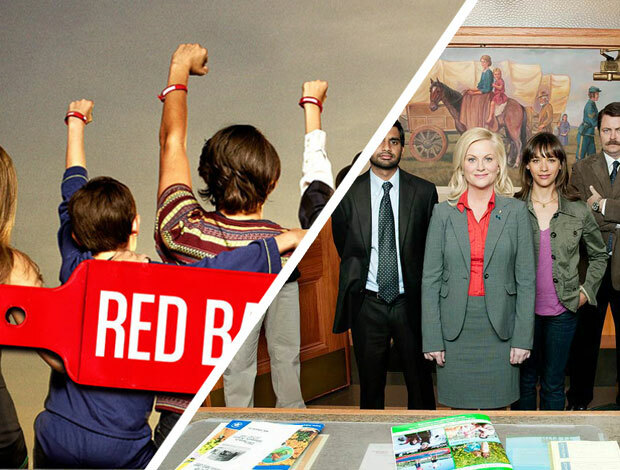 “Parks” remains among the funniest shows on TV, and in a time when snark and cruelty typify TV humor, it is unquestionably the kindest. That warmth radiates from a quirky, perfect ensemble, but the show’s anchor has always been Poehler’s big, heart-firmly-on-sleeve central performance. There will be tears when the sun finally sets on the crew from Pawnee, Indiana. There are some right now just thinking about it. The time has come to admit that the deluge of superhero entertainment foisted upon us has become so omnipresent and overwhelming that it’s beginning to make these spectacular stories seem, well, pretty ordinary. So what is a Batman aficionado to do to make our beloved Bruce Wayne seem fresh to American audiences? Make the story not really about him, to start. “Gotham” reinvents the “Batman” wheel by going back in time to give us the origin story of Jim Gordon (Ben McKenzie, late of TNT’s sleeper “Southland”). Yes, some familiar names pop up, including a very young Selina Kyle/Catwoman, but this is a crime drama, not a special effects-driven adventure. Taking the spotlight away from the Bat and putting it firmly on the young cop that will be his eventual partner in (fighting) crime is a bold move, but it might be exactly the one this genre needs to avoid overstaying its welcome. The fourth season of Comedy Central’s never funnier sketch comedy is sure to feature the same sort of “inspired satirical riffs on our racially divided and racially conjoined culture” that won it a Peabody Award last year. Stars Keegan-Michael Key and Jordan Peele use sketch humor to navigate some of the hottest button topics in our culture wars – and usually end up saying something a heck of a lot more observant than any of the partisan blowhards on cable news. 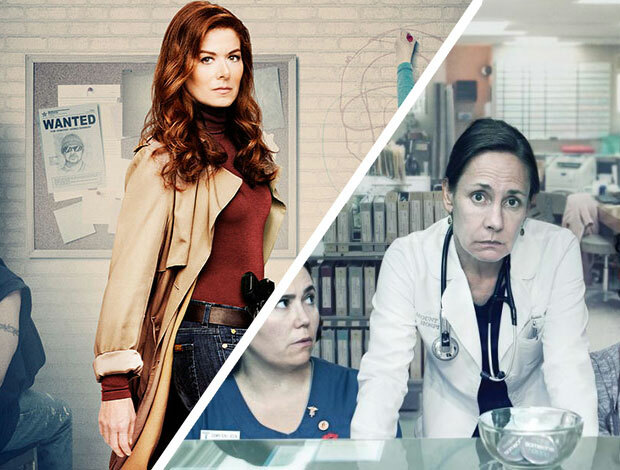 Debra Messing returns to series television barely a year after the cancellation of “Smash” in this cop dramedy about a harried mother of twins trying to have it all – the family, the job (as a detective), even a stable relationship with her estranged husband/new boss (the very charming Josh Lucas). Sound familiar, Caregivers? Word on the street is that while the show struggles with its tonal footing – is it a slapstick cop comedy with a big heart, or a family drama that goes heavy on the kid-centric laughs? – Messing and the rest of the cast are game and inviting. One of the biggest crimes of this year’s Emmy Awards was that none of the three co-leads of HBO’s bleakly dark comedy, about nurses and doctors doing what they can to get by in the geriatric extended care wing of a not-especially-thriving hospital, were nominated. Not seven-time Emmy nominee and three-time winning national treasure Laurie Metcalf (“Roseanne”). Not “Mad TV” standout Alex Borstein. Not even the show’s greatest surprise, Niecy Nash (“Reno 911!”), who dialed her well-known outrageousness all the way down to zero to play the most normal – and most caring – Caregiver in the room. Do yourself a favor and catch up with the season one episode “If You’re Going to San Francisco,” which features Oscar nominee June Squibb as verbally abusive patient Verna. It’s a tour de force, from start to finish. “Private Practice” and “Grey’s Anatomy” alum Kate Walsh returns to series TV just a few months after her guest arc on FX’s much loved “Fargo” with this sitcom about an unorthodox judge whose private life can get a little wild. The show made a number of major creative changes after its pilot got a cool reception from critics, chief among them the departure of showrunner Liz Brixius (co-creator of “Nurse Jackie”). 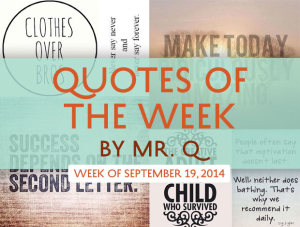 So here’s hoping that with its house newly in order, the quirky comedy can keep up with its charismatic star. 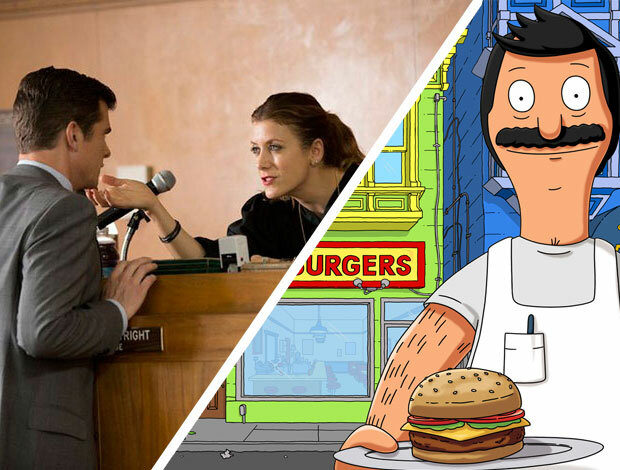 “Bob’s Burgers” has defied the odds – and a weird 7:30 p.m. air time – to become a big word-of-mouth hit. About the strange exploits of the animated Belcher clan, the show goes into its fifth season as the reigning Emmy winner for Outstanding Animated Program. The cult series has become so popular, in fact, that it is now attracting the kind of deep-dive attention usually reserved for serious live action series, including a lengthy write up on NPR celebrating its feminism. Katherine Heigl’s comeback show is all about power players. Heigl plays Charlie Tucker, a CIA officer yanked from her job in the field to take on a new role, that of the president’s (Oscar nominee and Emmy winner Alfre Woodard) daily intelligence briefer. The off- and on-screen stakes couldn’t be higher for its leading lady. After finding major fame and winning an Emmy for “Grey’s Anatomy,” the actress abruptly left TV in the dust, and made more than a few enemies along the way, en route to movie stardom in rom-coms like “Knocked Up” and “27 Dresses.” But difficult on-set behavior and a penchant for saying the wrong things publicly alienated the film community too. So Heigl’s TV return seems like a humbled step back into her comfort zone. If it hits, all will be forgiven. In Hollywood, as on Wall Street and in politics, success is the only thing that really matters. Showtime’s acclaimed political thriller ended its last season by hitting the reset button – a major character bit the dust, our leading lady Carrie (Claire Danes) is very pregnant and reassigned to Turkey, and Saul (Mandy Patinkin) is out at the CIA. The shakeup might be just what the doctor ordered: After scoring just about every award under the sun for its first and second seasons, the show failed to even get nominated for Best Drama Series at both the Emmys and Golden Globes this year. 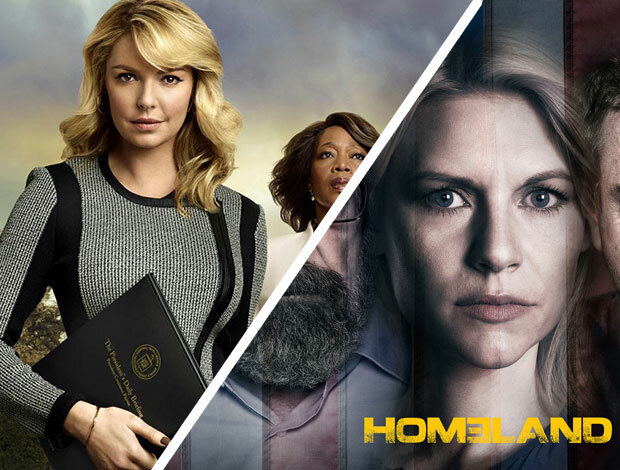 “Homeland” remains as popular as ever with viewers, however, and Danes continues to shine. Nine long years ago, HBO premiered the Lisa Kudrow vehicle “The Comeback,” about an aging sitcom actress’s attempts to return to the top of her game after nearly a decade out of the spotlight. Shot in the style of a reality show, the comedy was coolly received by audiences and cancelled after just a single 13-episode season. And then it blew up big. Like “Arrested Development” before it, viewers found the series on DVD and through streaming, and an online culture of devout (and, importantly, loud) fans gradually began to rally around the sometimes campy show. Wise to the hubbub, HBO is resurrecting the series from the dead this fall for a limited run. After “Friends,” “Web Therapy” and her excellent guest arc on “Scandal,” it’s a given that Kudrow can do no wrong. “Nashville” is a sudsy soap about the lives of several country music performers, from the genre’s at-odds diva superstars, Rayna James (Connie Britton, luminous as ever) and Juliette Barnes (Hayden Panettiere, who delivers a career best performance), to struggling to break out Will Lexington (Chris Carmack) and the often-just-plain-struggling Deacon Claybourne (Charles Esten). It is also one of the more underrated shows on television. While it’s true that the show sometimes gets mired in a mess of its own creation – it struggles to keep up with too many principal characters and some storylines just plain bomb – it also soars when it brings the focus back to the music. Did we mention just how good Hayden Panettiere is in this thing?